TAIPEI, Taiwan, January 9, 2017 (ENS) – Factories illegally built on farms have become a massive threat to food safety in Taiwan. A recent survey shows that at least 60 percent of these factories are of high pollution potential. The Taiwanese government has pledged to tear down new structures and centrally manage old ones to save the farms. 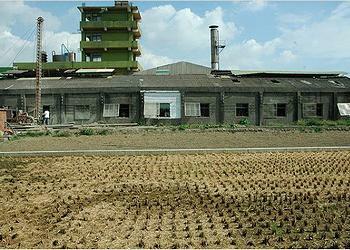 Illegal factories on the farm began to be seen in the 1970s when the agrarian economy was replaced with light industry. The then-government encouraged the public to treat their own homes as factories for low-tech and labor-intensive products. Before long non-urban households expanded the “factories” around their farmhouses for more income. The following 30 years saw a rapid growth of Taiwan’s exports as illegal factories islandwide reached an estimated 64,000. These factories, scattered across land designated for agricultural use, are not able to register with the local government and are not often fully equipped to deal with environmental hazards. Not only do they disrupt the management and zoning of non-urban land, they pose a threat to the country’s future food supplies and food safety. A survey on nearly 6,000 illegal factories was released on December 22, 2016 by the Taiwan Environmental Information Association, TEIA, a nongovernmental organization that promotes transparency and availability of government environmental information. According to TEIA’s findings, 75 percent of the illegal factories cluster in five of the 21 administrative divisions around the island nation. 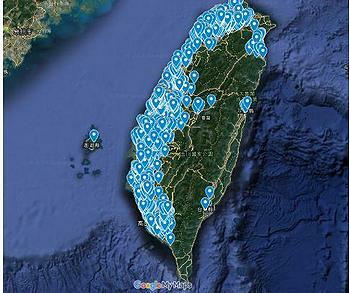 Taichung and Changhua of Central Taiwan, in particular, have 45 percent of the 6,000 illegal factories. In terms of industrial operations, 75 percent of these factories produce metal products, mechanical equipment, food products, plastic products, textile products, and nonmetallic mineral products. More than 60 percent of these operations are of high pollution potential and governed by at least one environmental regulation. TEIA Secretary General Chen Jui-pin suspects a relation between the number and type of illegal factories and the extent of heavy metal pollution in Taiwan’s farmland. The most obvious example is in Changhua. The illegal factories in Changhua account for nearly 20 percent of the total sum in this survey, mostly producing metal products and mechanical equipment. Yet more than 50 percent of farmland pollution cases come from here. Another investigation, by “CommonWealth Magazine,” identified some global industry leaders among the illegal factories. An example is Cheng Shin Rubber, the ninth largest tire company in the world. Operating under the name Maxxis in some countries, Cheng Shin had worldwide revenue of over $3.85 billion in 2015. Nonetheless, part of its factory is using farmland for industrial purposes. A Cheng Shin spokesman told “Commonwealth Magazine” that they are aware of the illegal practice and that they are willing to legalize it by way of re-zoning. The 6,000 illegal factories covered by the TEIA survey are those that have completed “temporary factory registrations,” a system introduced after law revisions in 2010 by the Ministry of Economic Affairs to guide illegal factories towards legal operation. During the guidance period, factories with temporary operating licenses are allowed to acquire legal use of the land and building certificates by converting their farmland into industrial areas, providing requirements are met. The government has already put Minister without Portfolio Chang Jing-sen on the problem. Chang’s office confirms that a new policy to deal with illegal factories is under discussion among central and local governments. As for the existing ones, “highly polluting industries like electroplating and metal surface treatment must be first relocated to industrial parks. Others will be brought together on land with low agricultural productivity for the benefits of supply chain efficiency and for better and easier management,” says Chang’s office.